Just imagine your family home captured in a work of art that you can enjoy everyday on your wall. You can touch someone's heart with this gift of art that is truly personal. If you like, please fill out the form below to work with Leisa or call her at 703-598-7360. 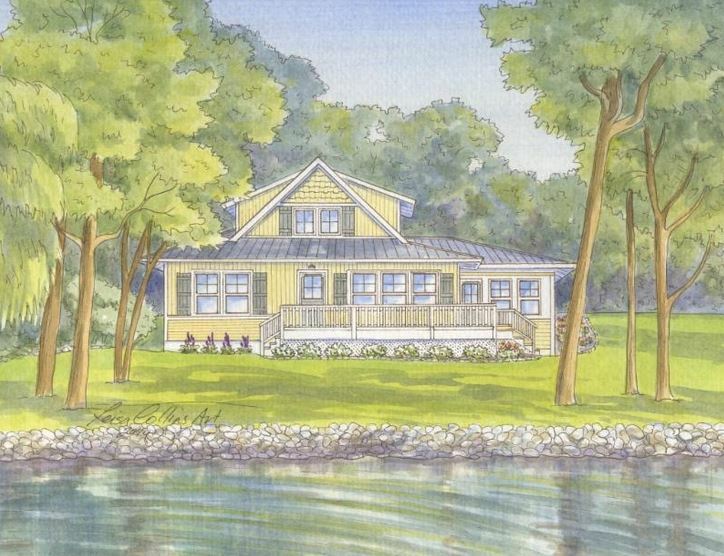 Can you imagine the joy someone would feel upon receiving a custom watercolor painting of their home? Just think of how tickled your parents or a dear friend would be to unwrap such a personal piece of art. 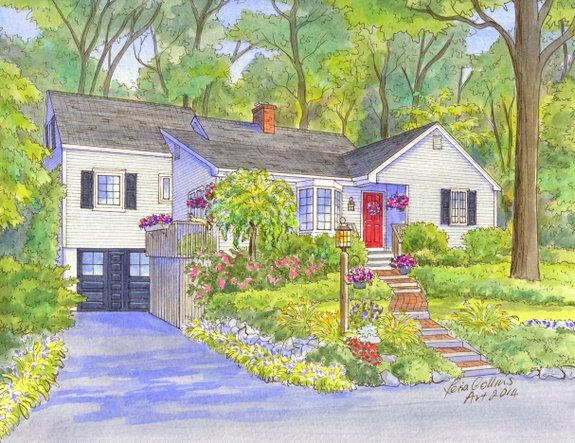 When Leisa Collins is commissioned to create a painting of one of her client's homes, she captures the details that make it very special. Details that bring back memories of good times. 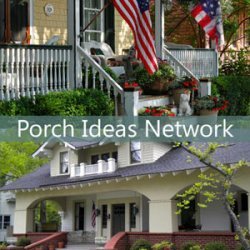 From the baskets of ferns hanging on the front porch to the house number and porch furniture, Leisa includes personal touches. Think of the home you grew up in and how nice it would be to have it turned into art you can see everyday. From photos her customers provide, or a visit to your home, Leisa uses her artistry to paint a work of art that can be handed down to generations. When you speak with Leisa, she will suggest what photos will be most helpful for creating the art. The truth is that people treasure the places they've lived and the memories they've made. 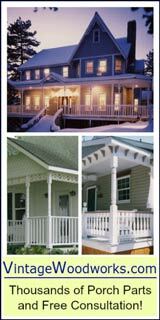 Leisa can paint your home in whatever season you like no matter what season your photograph is taken. 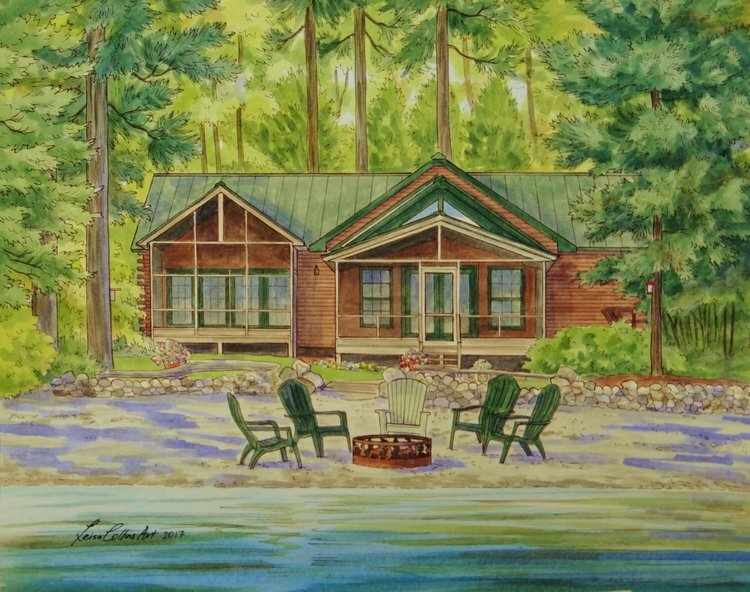 Have a vacation home or cabin you'd love to display as a work of art? No matter the occasion, a watercolor portrait from Leisa Collins is absolutely an unforgettable gift for someone you care about. 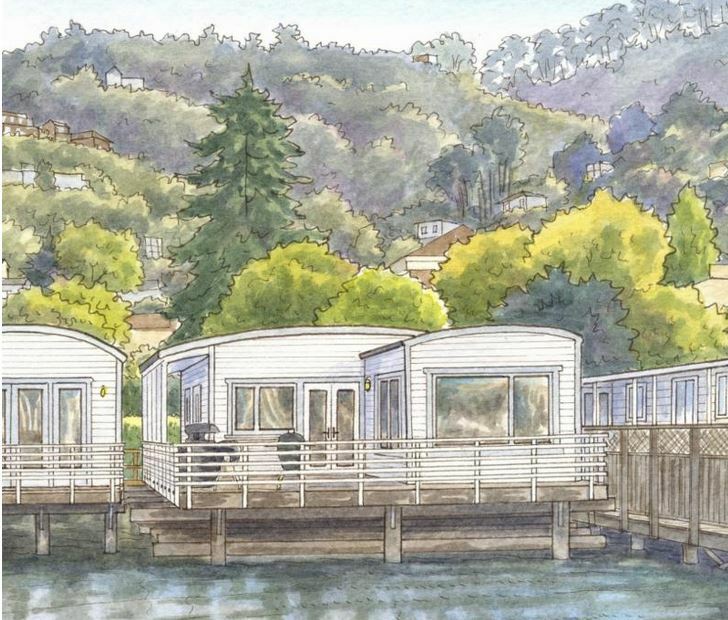 When Dave and I stumbled upon a watercolor artist in California, Leisa Collins, who paints beautiful portraits of people's houses, we knew right away that this is something we want to share with you. Dave and I are intrigued by her paintings and how she creates them. Leisa has painted hundreds of these portraits across the USA covering 48 states. Some requests are from clients thrilled at the prospect of their own house portrait being drawn and painted by Leisa. Others are amazing gift requests from clients for friends or family. 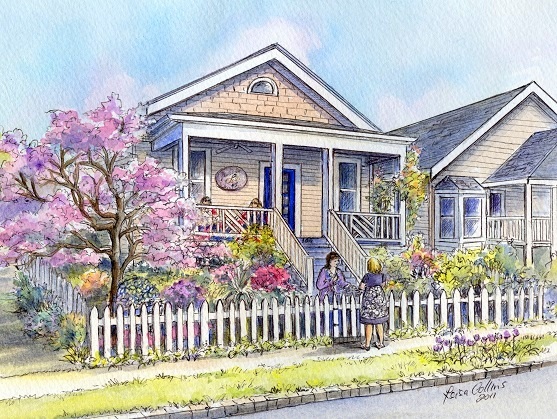 Just imagine having an artist paint a portrait of your home - or your childhood home for that matter. It's a heartwarming and truly memorable piece of art that will keep your memories alive every time you look at it. 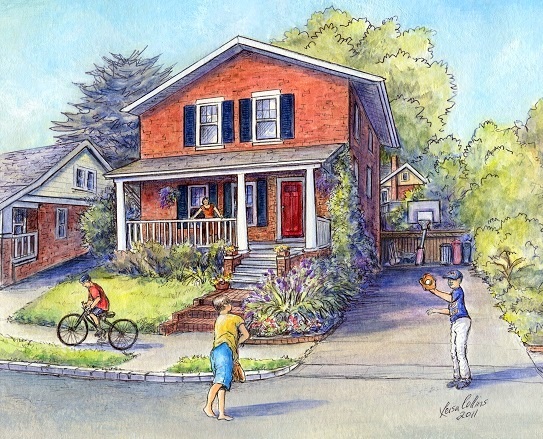 I can only imagine how touching it would be to have my childhood home painted by Leisa. 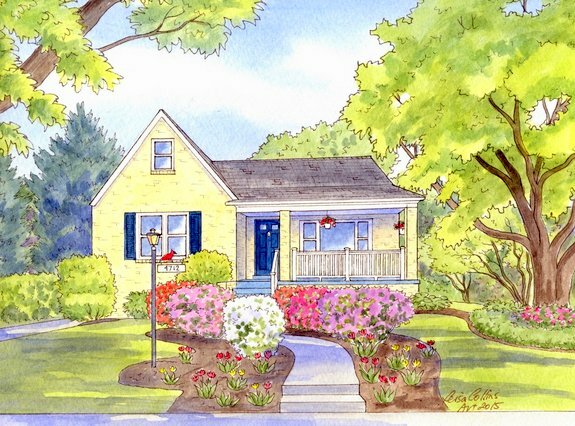 Can You Picture a Portrait of Your Home? Question: How Many Gifts in Your Lifetime Do You Remember Years Later? If you are like us, only a few gifts stand out over the years. I can remember my favorite doll and Dave remembers a big red fire truck he got as a kid. But as adults, we don't always have long-lasting memories of the gifts we receive. That's because while they are nice, most gifts are just more stuff to put on shelves or in drawers. But this idea - a custom house portrait - is something that will be kept and treasured for a very long time. Whether you get it for yourself, your spouse or someone very special. Leisa's house portraits are quite lovely; she has the knack of not only being a wonderful artist technically, but also from an emotional perspective of capturing the feeling and the memories. Your house is more than a house. It's where your memories are born, where you find safe harbor. So just imagine the sense of pride and joy that a custom house portrait can bring. 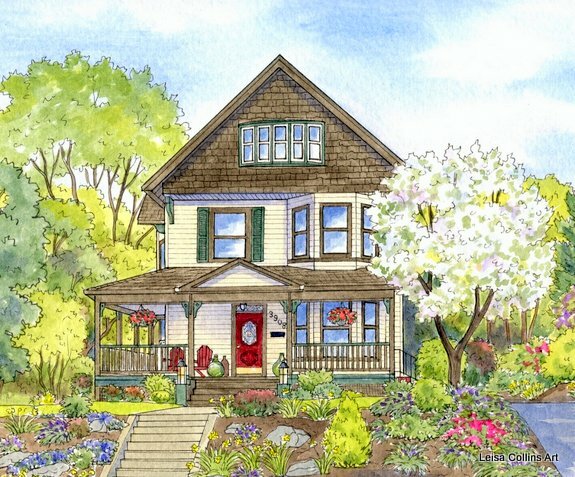 Imagine what it would be like if you had a beautiful, watercolor painting of your childhood home to display on your wall. What memories would it bring back? - The windows you gazed out from that familiar place called home. 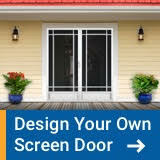 Likewise, imagine if you had a painting of your current home whether it's your first home, a home you built or the home where you raised you family. Wouldn't that be touching? Want to connect with Leisa? Just fill out the form here to contact her. "I can feel us in the living room in front of a fire on Christmas morning. I can smell the turkey in the oven." How is a Custom House Portrait Made? 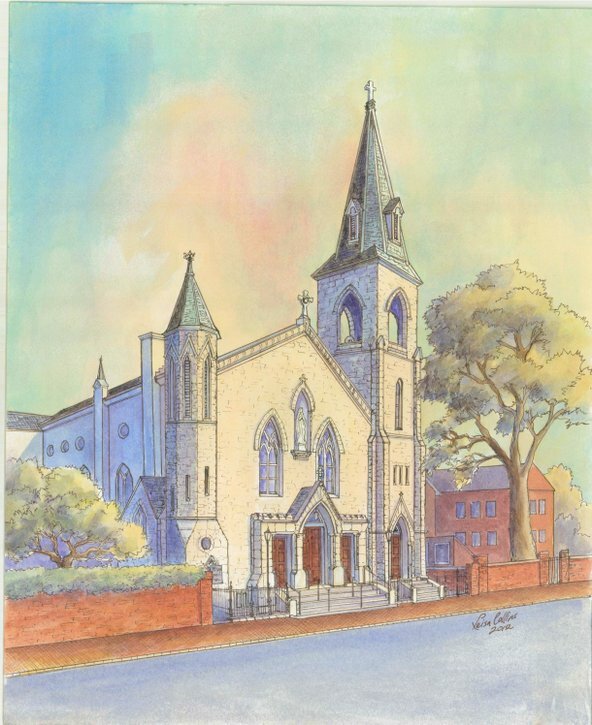 Leisa creates sketches from photographs that you provide to her of your home. 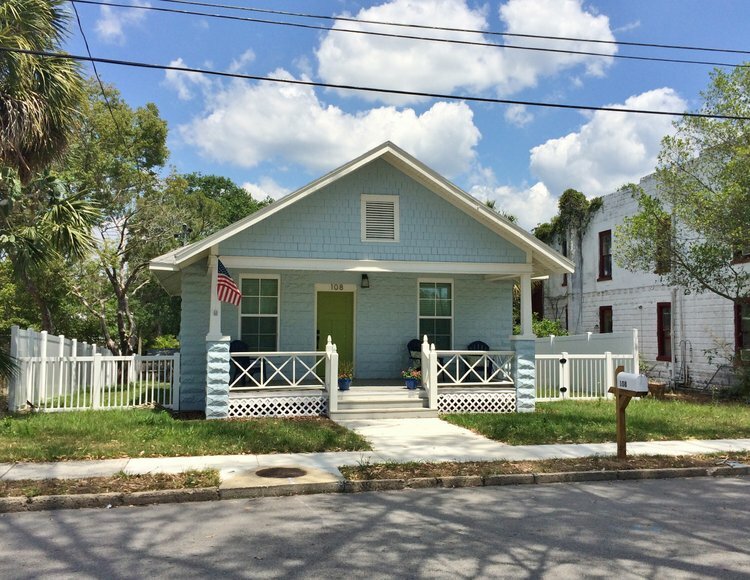 She uses multiple photographs to show the various angles of the home. Once she has the pencil sketch lightly done, she fills in the sketch with a brown sepia pen. Then with watercolor, she turns the portrait into an enchanting work of art. 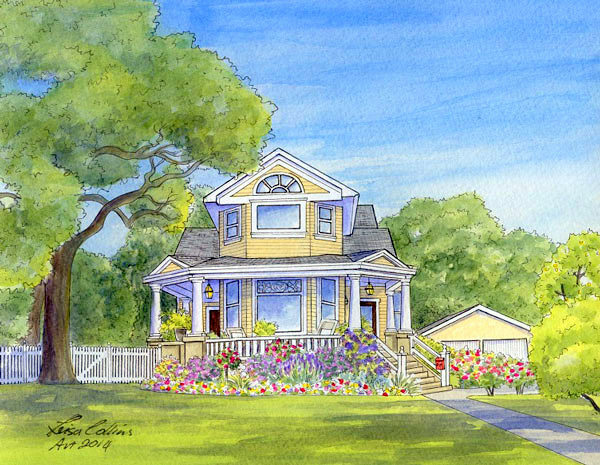 Her portraits include the surrounding gardens and trees and convey the feeling and spirit of the home. 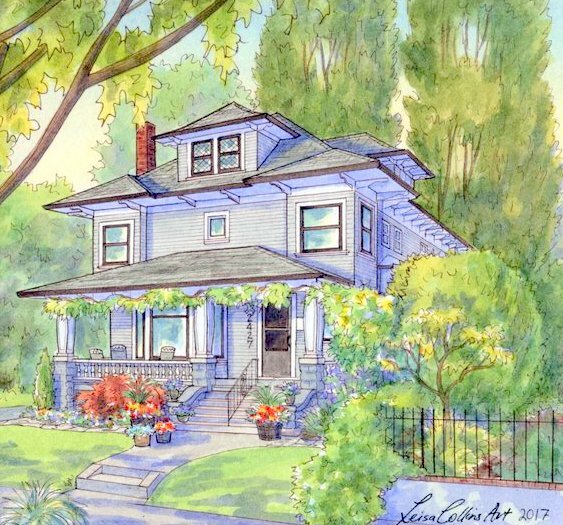 Leisa's favorite architecture is Craftsman style. It's not surprising how lovely this painting is. 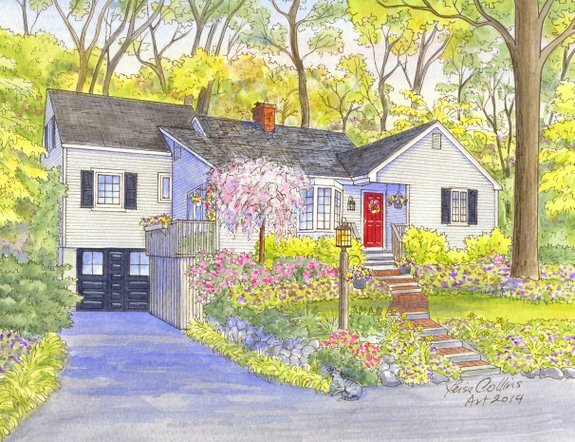 Who wouldn't love this portrait of their home? Leisa captured this magical scene beautifully. This portrait has to mean the world to the family that grew up here. 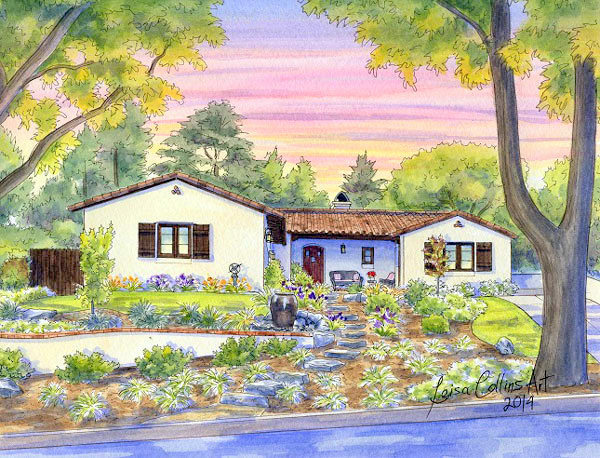 On this ranch home portrait, we love how Leisa captured the surrounding trees as well as the lovely stone walkway that leads to the front porch. Magical! Leisa captured this nostalgic neighborhood scene beautifully. 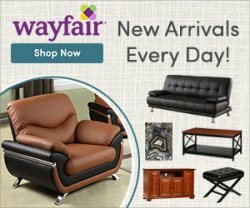 Searching for a Special Gift for Someone Moving Away? Truly, Dave and I cannot imagine a more fitting and touching gift to give than a portrait of a home that means so much to someone. 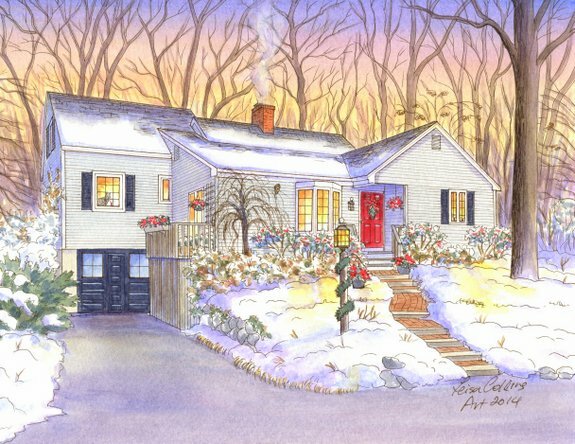 If your best friend, good neighbor or favorite co-worker is moving away, they can have a hand painted portrait of their home to always remember the place where they made many memories. Want to connect with Leisa? Just fill out the form here to connect with her. 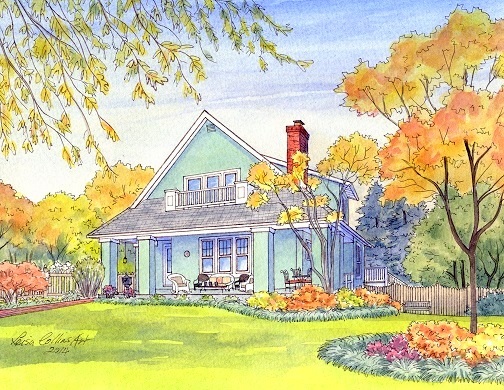 See One House in All Four Seasons! 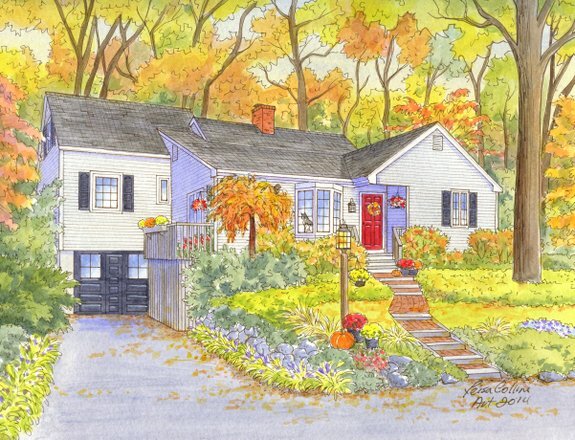 Leisa even paints four-season portraits, showing the house in each of the seasons. Wouldn't that be a wonderful treasure to have of your home? You don't need to have photos of your home in all four seasons; Leisa uses her artistry to change the seasons. What treasures these portraits would be of the home where you grew up or the home where you raised your family. At Last, a Refreshing Gift Idea for Yourself or Someone Special in Your Life! You cannot find a gift like this in a store. 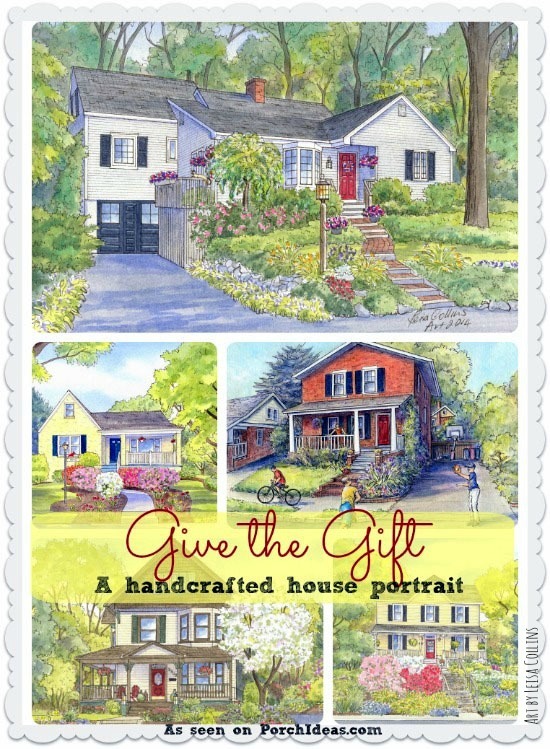 So rather than give another gift card, flowers that will perish or new dishes, consider how much more fun it would be to surprise someone (even yourself) with a handcrafted painting of their home. Leisa works individually with you to learn what you have in mind. Want to connect with Leisa? Just fill out this form. But What If You Want Something Other than a House Portrait? 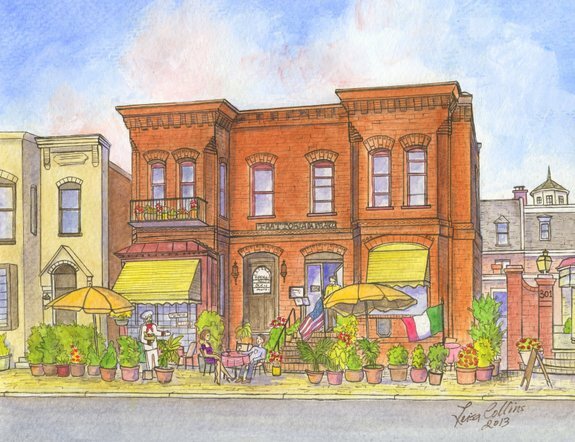 While Leisa specializes in custom house portraits, she is also happy to paint other memorable places for you. 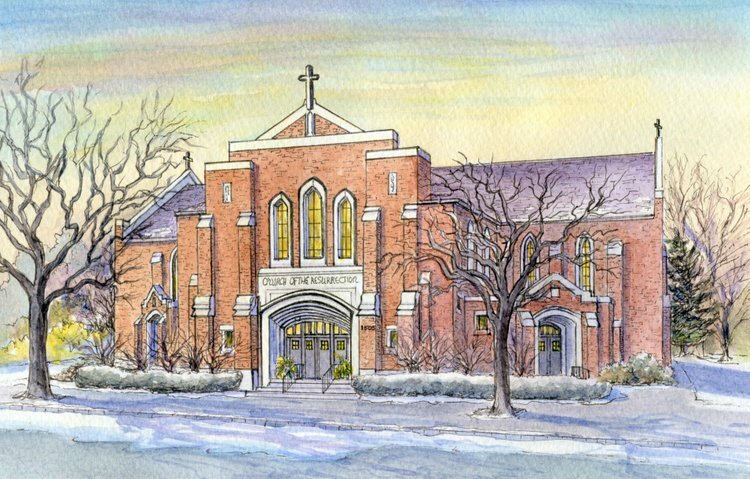 Like the elementary school you attended, the place where you and your sweetie were engaged or the church you were married in. Just ask her if you have something else in mind. Perhaps it's a fascinating place you visited and want to always remember. We bet she would love to talk that over with you. Just fill out the form here to connect with her. The restaurant where a couple was engaged - lovely! 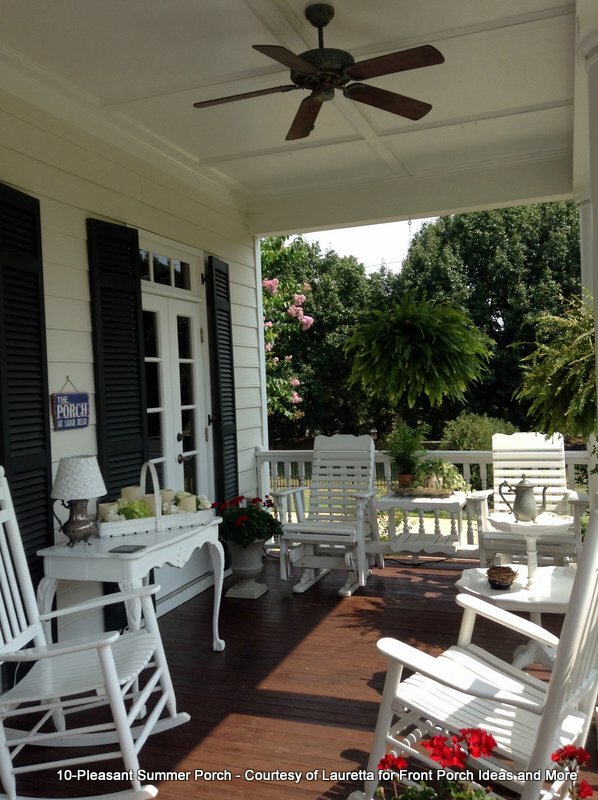 Lauretta was the winner of our summer porch contest and this was the photo of her winning entry. The prize? A watercolor portrait done by Leisa. So Leisa cropped this photo so that it became what you see next. 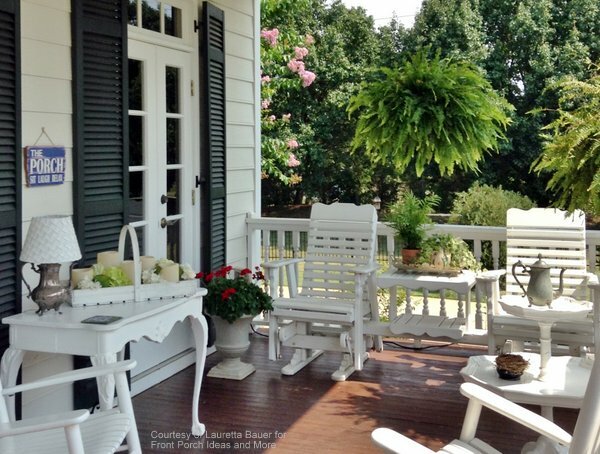 After Leisa cropped Lauretta's photo, you now see this most enchanting corner of her porch. The close-up view is so personal and inviting. 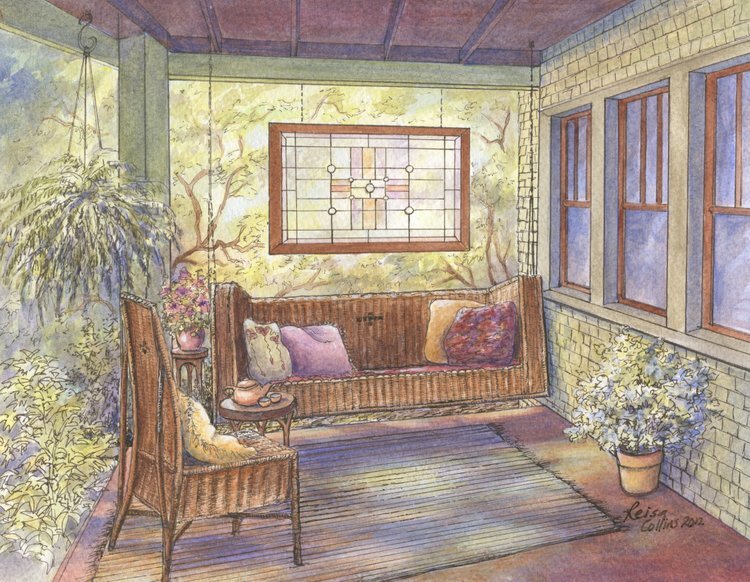 An experienced artist like Leisa recognized how the eye would perceive a more artful view by just showing off this area of the porch - it gives it much more depth and close-up feeling. Now - drum roll please: - here is the beautiful watercolor portrait that Leisa created from this photo. 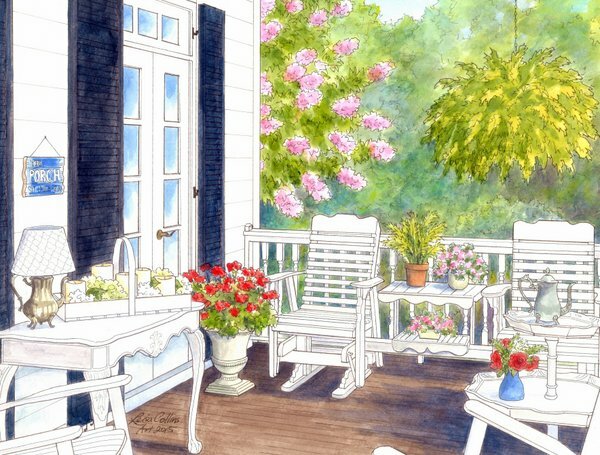 Can you imagine a corner of your porch being painted beautifully like this? 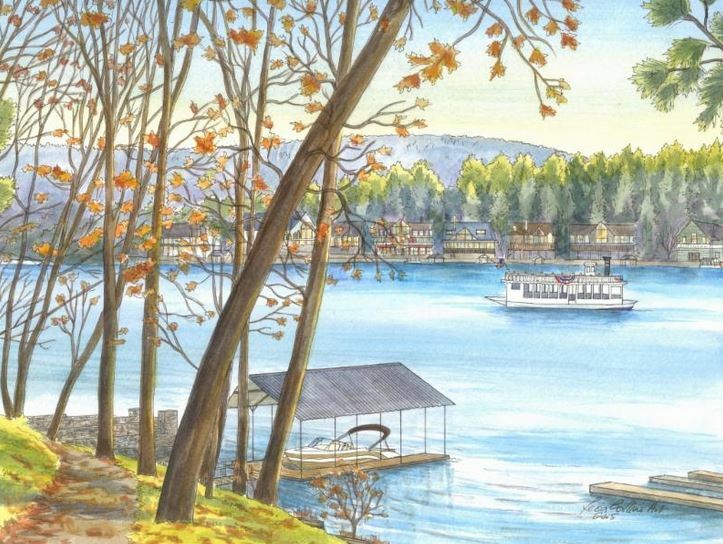 With her custom house portraits, Leisa captures vacation memories for families. How nice that would be to have! This is not an ordinary gift for sure, but one that may be passed down from one generation to the next. When Dave and I discovered Leisa Collins and the art that she creates, we felt an instant connection to her craft. If you love "home" and what it stands for, we pretty much think that you would like Leisa's work, too. We got to meet Leisa and her husband Bruce on our travels to California. Their home is her studio and we could feel her love for her work. We got to see up close samples of her custom house portraits, the attention to detail and beautiful coloring. 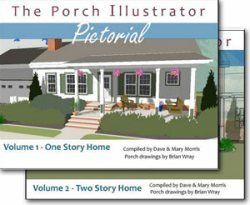 She captures not only the home and the surrounding landscape, but also plenty of details, like the house number and the rocking chairs on the porch. 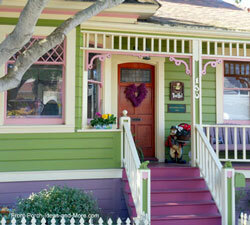 You might even see a family dog or kitty in the paintings or couple of neighbors chatting over the picket fence. You would work with Leisa on the vision your want to see. 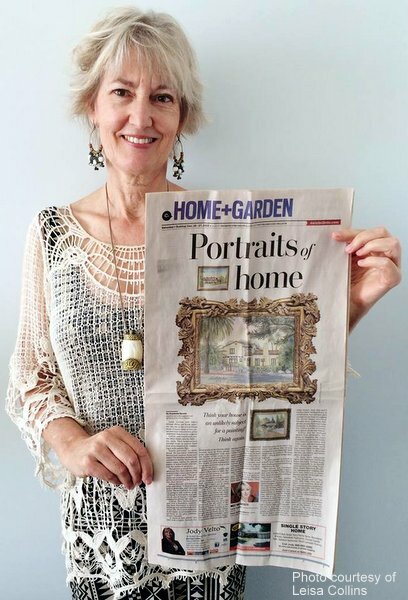 While most people are not likely to hang an ordinary photograph of their home on their walls, it is quite a different story with custom house portraits painted by Leisa. It's a true work of art that is done first as a pencil sketch. Then it becomes a pen and ink drawing, and finally, Lisa paints it with beautiful watercolors. The paintings we have seen are magical in that we know each is unique to the home and the family who lives there. And it is lovely and very detailed as Leisa is talented. 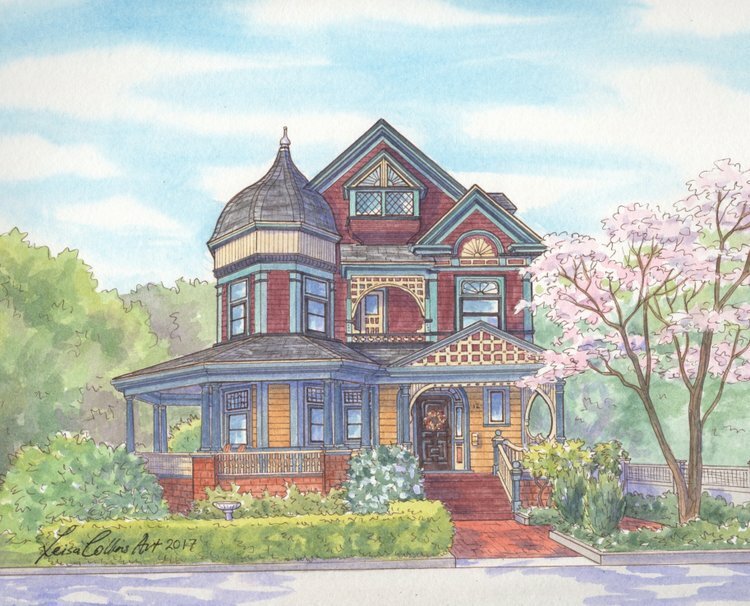 Interested in a Custom House Portrait by Leisa? 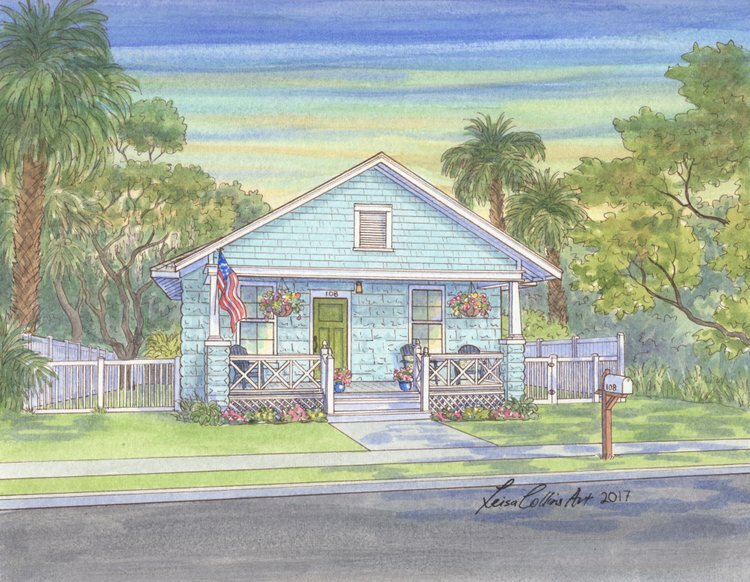 If you would like to get in touch with Leisa about having a custom watercolor portrait of your home or a special place - for yourself or to give away, just fill out the form below and it will be forwarded to Leisa. 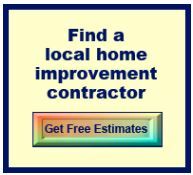 She will get back to you within one business day. Or alternatively you can call her at 703-598-7360. 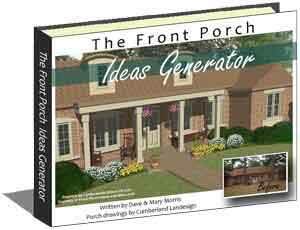 Just let her know you found her by visiting Front Porch Ideas. 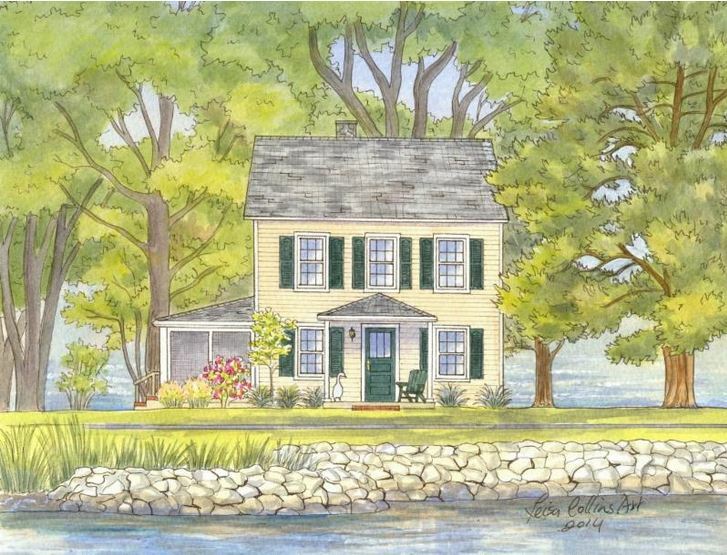 We may earn a commission if Leisa paints a custom house portrait for you but at no extra cost to you. Leisa grew up in Auckland, New Zealand. As a young teenager, she left her formal art training in order to travel and learn the craft on her own. After several years, she returned to Auckland and had a successful art business before deciding to venture into the world of non-profits. During her extensive travels, she met her husband Bruce who hails from Michigan. In 2009 she decided to venture back into the art world and now she is once again a full-time professional artist. She, in partnership with Bruce, has quite a flourishing business doing commissioned work such as custom house portraits as well as helping communities with their artistic efforts and teaching other artists how to make a living from their passion. 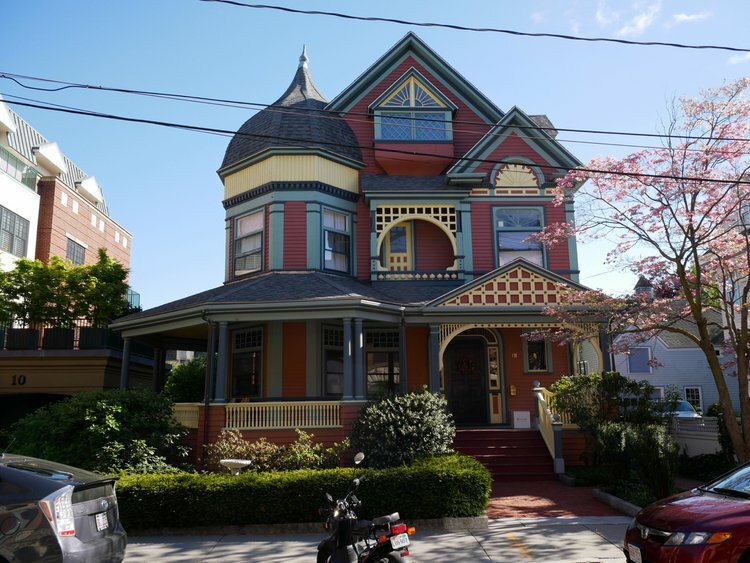 Together they have lived on both the East and West coasts - first in Alexandria, VA and now in Pasadena, CA. 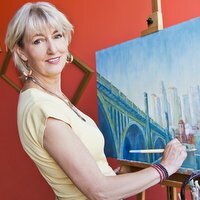 You can learn more about Leisa's art at her website, LeisaCollins.com. Or you can call her at 703-598-7360. 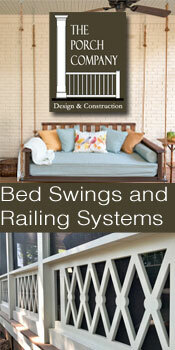 Please be sure to tell Leisa that you found her through our website, Front Porch Ideas. Thanks! Not only do we admire Leisa's artwork, but we also respect her adventuresome and entrepreneurial spirit - doing what she loves and helping other artists to do the same. Very inspiring! We recently visited with Leisa and her husband Bruce about their love of the Arts and Crafts homes on one of our podcasts.